I always say that traveling is a choice, because, you need to allocate time and hurt your pocket a bit to get a well deserve trip. When I travel, large chunk of my budget goes to the hotel that would suit my daily needs and of course the mode of transportation that I will use in order to get to my desired destination safe, fast and comfortable. Plane is always my top of mind mode of transportation whenever I travel because it answers my basic transportation requirements-fast and comfortable but the downside is that it is a bit pricey compared with the other mode of transportation, specially when I fail to book a discounted fare. Yesterday, I got a mail from Mabuhay Miles, that I didn't expect to come. I had been a member of the latter for almost a year now and whenever I travel with Philippine Airlines, I religiously input my flight details on Mabuhay Miles website to gain points that will be accumulated to avail FREE flights, yes you read it right, you can get free flights with Mabuhay Miles and free flights would lessen my travel expenses. Aside from that I can also redeem some of the points to avail some treats that I can use during my trip.What I love about Philippine Airlines and Mabuhay Miles is the thought that they are giving me something in return aside from the service that I paid for them and this things are useful during my travel spree. I was pleased to see on that mail that they sent me, my very own Mabuhay Miles Travel Card. 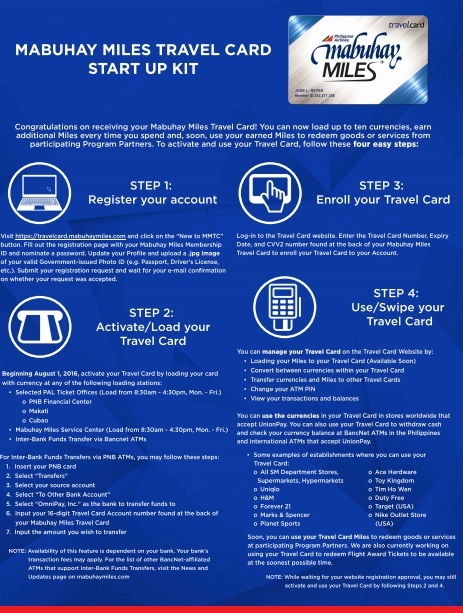 Mabuhay Miles Travel Card is a membership and universal prepaid travel card that is first in the Philippines. 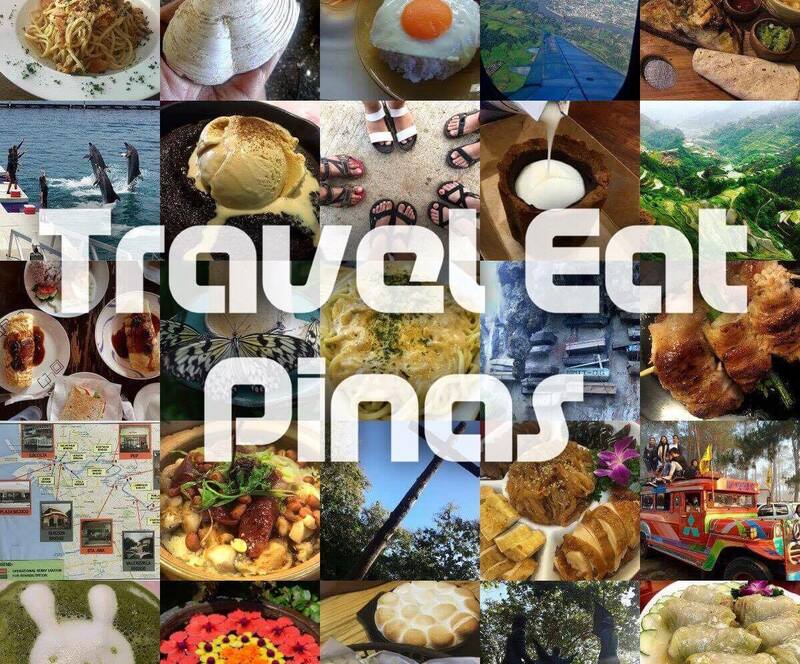 Travelers, like me, as a member can earn Miles or points with every PhP 100 or USD 2.15 (or any foreign currency) each time we use the card for travel and daily purchase and accumulated miles can be exchange to free flights, goods and servicing. Like prepaid cards, travelers can load the card with up to 10 currencies at any given time and can use it on both local and international transactions, which is great because as a traveler I hate bringing a lot of stuffs with me. With Travel Card I don't need to bring a lot of cards whenever I have a trip and managing my budget would be easier because I can get my needs and use the card on shops and transact at ATM in over 150 countries that accepts UnionPay. All that on a single card! 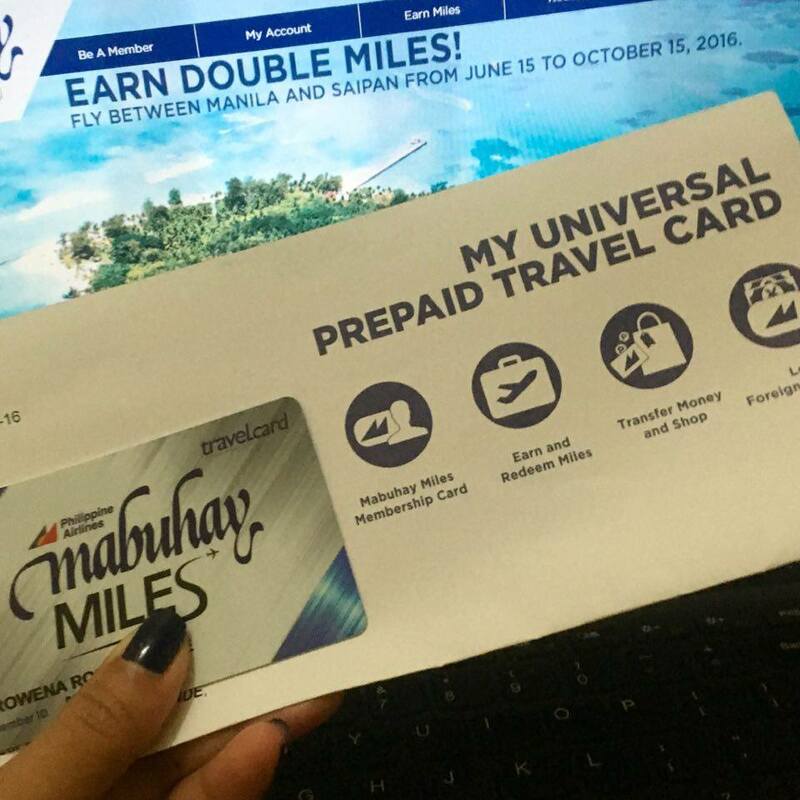 Mabuhay Miles Travel Card will surely help me a lot, not just on getting freebies with the points that I earn and will redeem for free flights and goodies that I can use on my trip, but also on managing my budget because I can transact using the same card. Imagine, everything on just a single card! Thanks for sharing this helpful information in the event I begin collecting these!